Should you choose Melville Castle for your special day and celebrations, you will be spoilt for choice with an array of beautifully adorned private rooms available for civil ceremonies, wedding breakfasts and evening celebrations. Choose from The Ballroom, a magnificent room with high ceilings and sweeping views of the parkland, river and woodland which is perfect for a ceremony of up to 90 guests. The Viscount Room, a stunning space with gilded ceiling and traditional décor which is perfect for your wedding breakfast. The more intimate Arniston Room with elegant windows overlooking the park, river and woodland which is ideal for pre or post ceremony drinks. Last but not least, if you are looking to hold a larger, more lavish wedding then the spectacular marquee situated on the east lawn provides the perfect location for larger ceremonies, wedding breakfasts and evening receptions. Spacious with a beautifully decorated interior, the marquee is positioned adjacent to the castle enabling you and your wedding guests to move easily between places should you choose. Mouth-watering menus have been written to enhance your celebrations. Formal, informal, buffet, canapés – if you have an idea, we will produce a menu catered to your exact requirements. You may also wish to enjoy an informal private dinner with family and close friends on the evening prior to your big day or why not gather those closest to you for a post celebratory brunch or lunch. Whatever your requirements, at Melville Castle you have all the ingredients for a truly memorable occasion. You’ve found the perfect partner, now let Melville Castle provide a spectacular backdrop for the wedding day you have always dreamed of. We look forward to welcoming you to the castle and turning your dream into a reality. 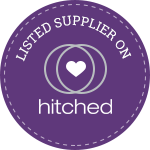 Our wedding co-ordinators will be able to help you with anything you may need. To make an appointment or to find out further information relating to our packages, please contact events@melvillecastle.com or Tel: 0131 654 0088. Alternatively please fill in our online enquiry form. Melville Castle is a unique, family run hotel located 6 miles from Edinburgh city centre. Offering charming accommodation, an atmospheric restaurant, enchanting weddings and quality corporate events.